Rapid City is centrally located to visit the Black Hills, Mount Rushmore, the Crazy Horse Memorial, Custer State Park and the Badlands. 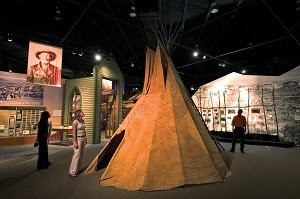 The Journey Museum takes you from the formation of the Black Hills over 2.5 billion years ago to the continuing saga of the Western frontier. Interactive exhibits and displays present the geography, people and events that shaped the history and heritage of this region. Dahl Arts Center located downtown, is a city-owned art museum that offers a variety of cultural exhibits, as well as classes, seminars and free art adventures. APEX Gallery located on the South Dakota School of Mines & Technology campus, you can explore Rapid City’s ancient past at one of the finest fossil and mineral museums in the country. 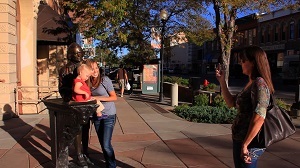 Main Street Square in Rapid City with daily activities and entertainment and City of Presidents and get your picture taken with life‐size bronze statues of our nation’s presidents. 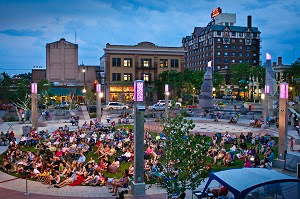 Rapid City has two historic districts for your enjoyment. The first is the historic downtown with notable buildings such as the 1914 First National Bank building at 7th and Main. Across the street you will find the 1911 Lions Head Fountain, which was once a watering station for horses. The West Historical District is residential in character; portions of 18 blocks contain examples of the city's finest late 19th century and early 20th century structures. 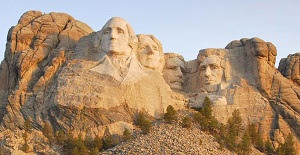 Mount Rushmore carved from a mountain of granite, Mount Rushmore is located only 17 miles from Rapid City. Visit the park year-round, see mountain goats and walk the Avenue of Flags. Badlands National Park consists of 244,000 acres of sharply eroded buttes, pinnacles and spires blended with the largest, protected mixed grass prairie in the United States. Wall Drug, a tiny store, built in 1931, has boomed to become internationally known for its offering of free ice water, specialty shopping, and a unique backyard experience. While in Wall, also visit Wounded Knee: The Museum and learn about the last, bloody conflict between Native Americans and the US Army Cavalry. 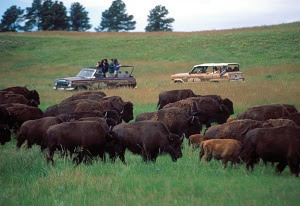 Custer State Park is home to wildlife including one of the nation's largest free roaming buffalo herds and the Peter Norbeck Scenic Byway, a 66-mile scenic route, the Needles Highway and Iron Mountain Road. Crazy Horse Memorial is the world's largest sculpture-in-progress. When completed, it will stand 563 feet tall by 641 feet long. See the mountain carving in progress, museums and laser light show. 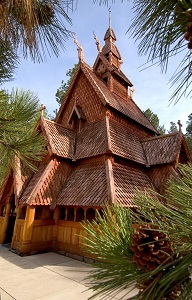 Stavkirke - Chapel in the Hills - is a replica of an 850‐year‐old church in Norway. Outdoor enthusiasts will enjoy the Outdoor Campus West featuring educational outdoor activities. Tour one of the Black Hills Gold jewelry factories and watch as each piece of jewelry is hand‐crafted. Fort Meade Museum, home of the 7th Cavalry, re‐formed after the disastrous Battle of the Little Big Horn in 1876. 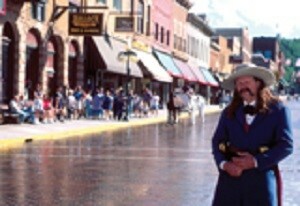 Deadwood area attractions include the Black Hills Mining Museum, the Homestake Visitor Center in Lead and Mount Moriah Cemetery where Wild Bill Hickok and Calamity Jane are buried.